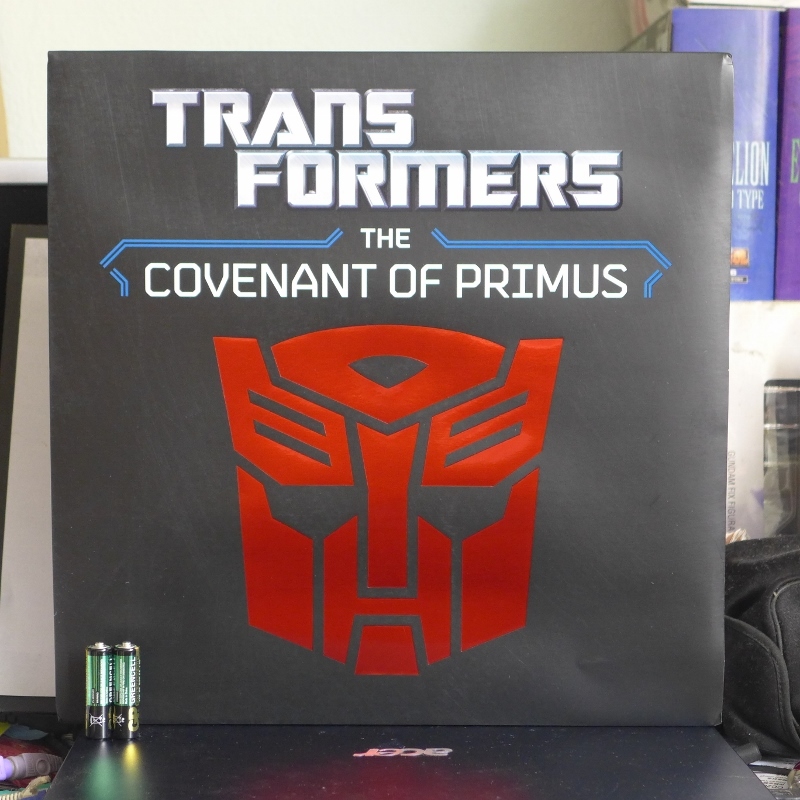 The Covenant of Primus reviewed | Out of the box. 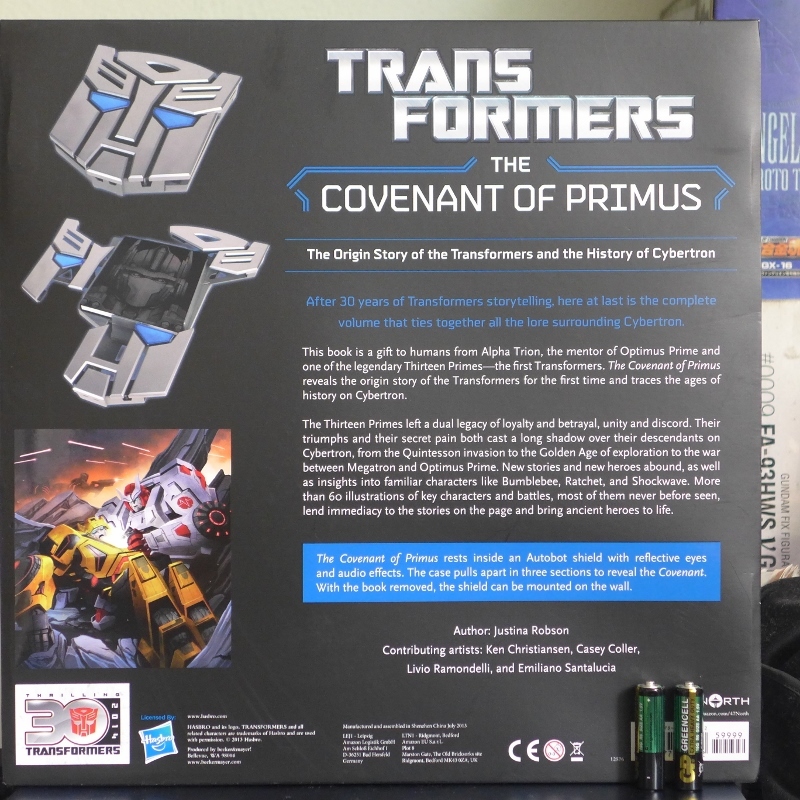 The Covenant of Primus is collectors’ collectible items for Transformers fans. 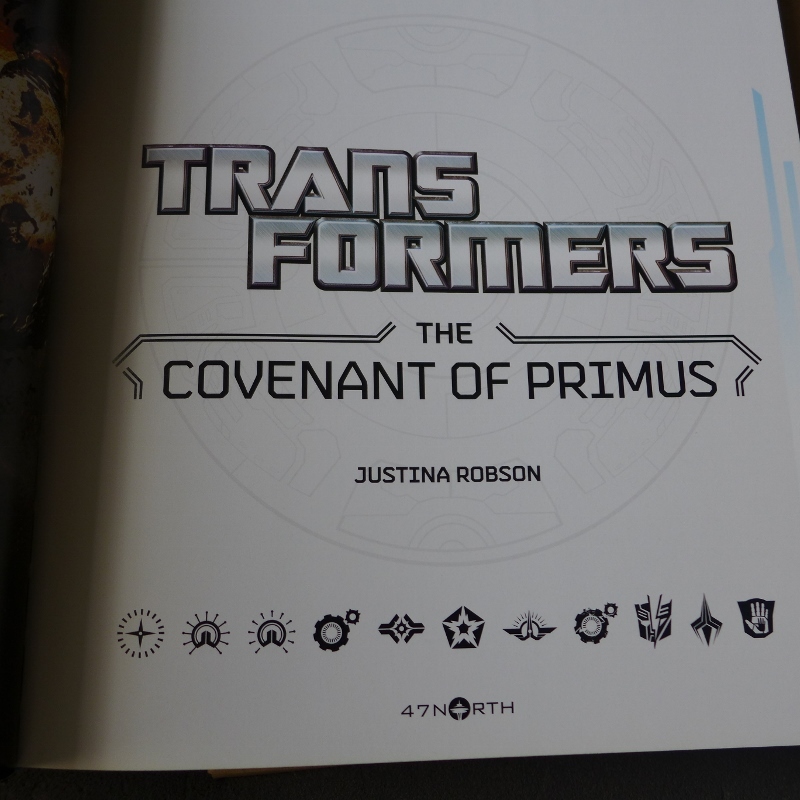 The book is house in the Autobot insignia or shield. 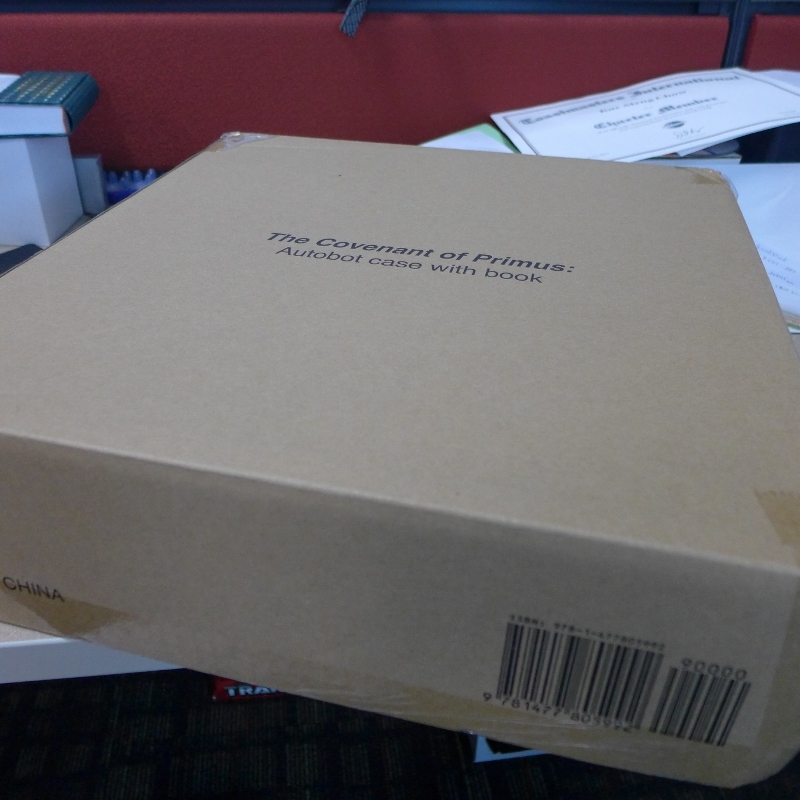 What is amazing, even the book casing is meticulously stored in a well package cardboard. 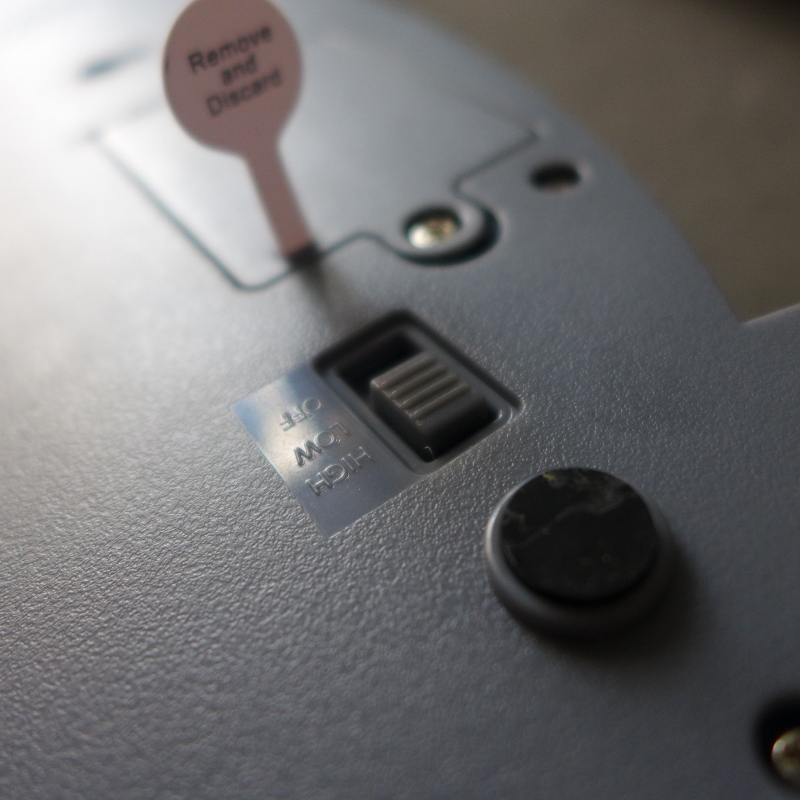 designed to prevent damage to the cover that is housing the book case. 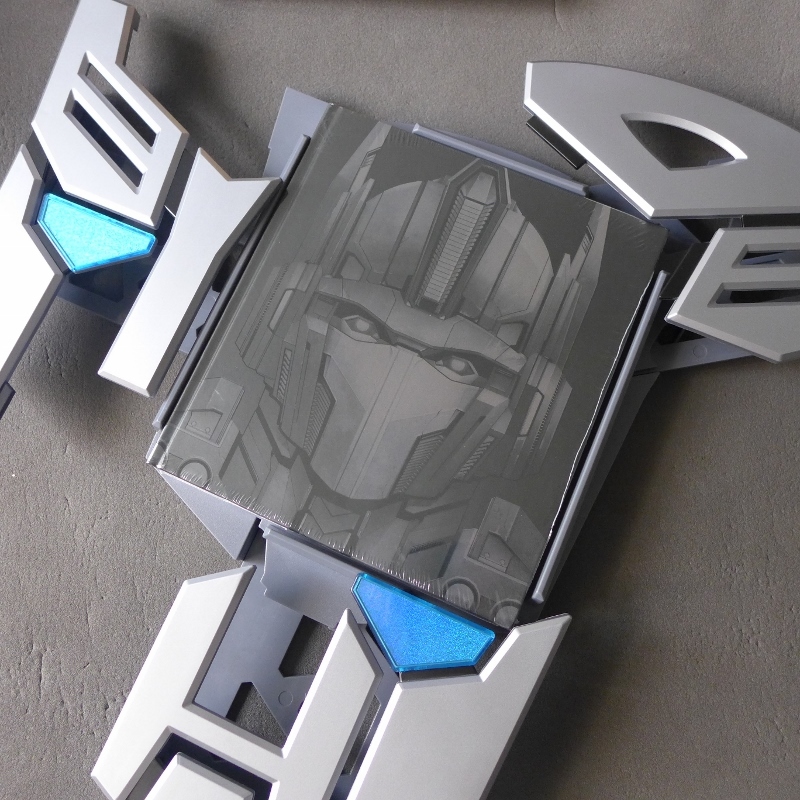 With a well design package, The Covenant of Primus is definitely designed for collectors. Close up view compared to coins. 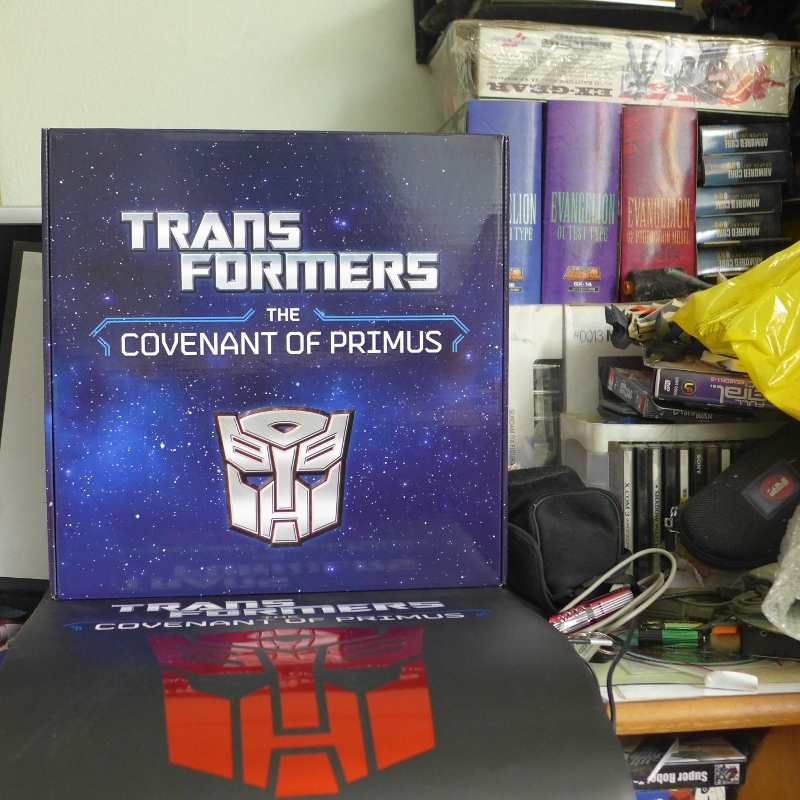 The packaging for The Covenant of Primus is huge. It is towering many times over AA battery. 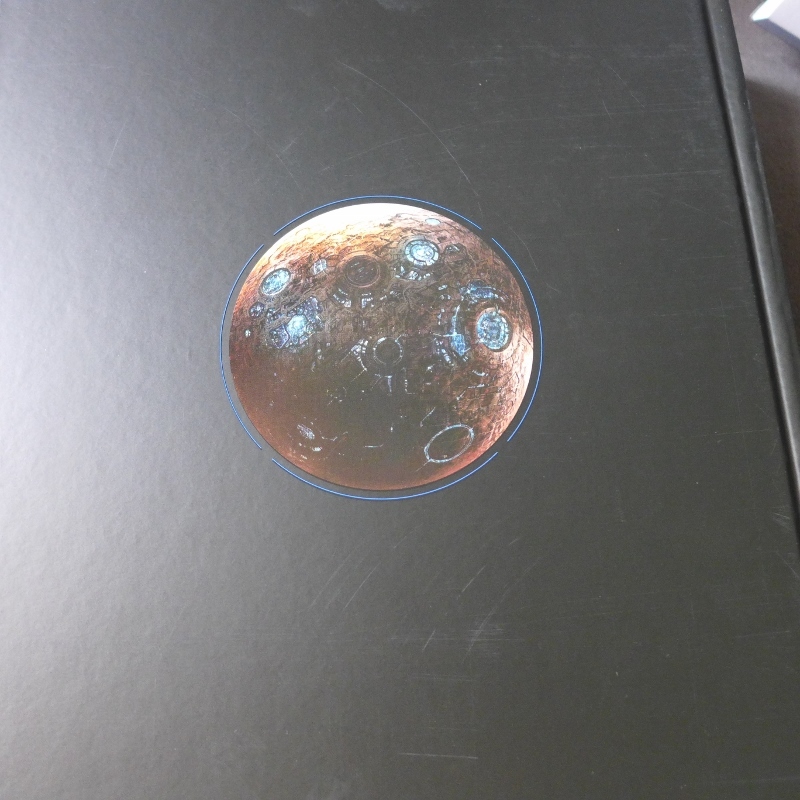 However, the simplicity of the packaging is interesting. 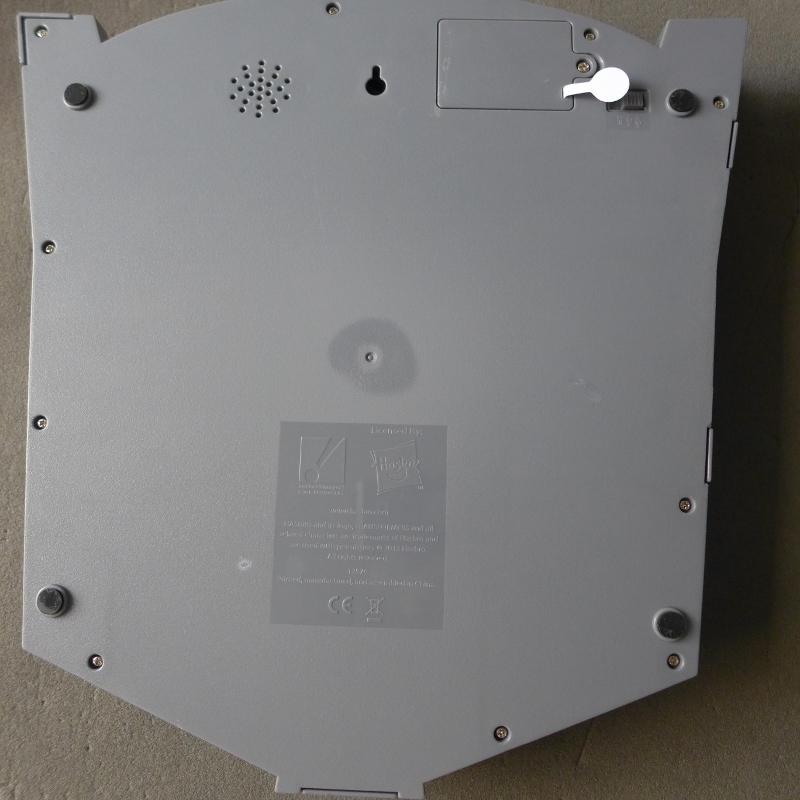 Not forgetting the cover is covered by a thin plastic film; need to be removed. 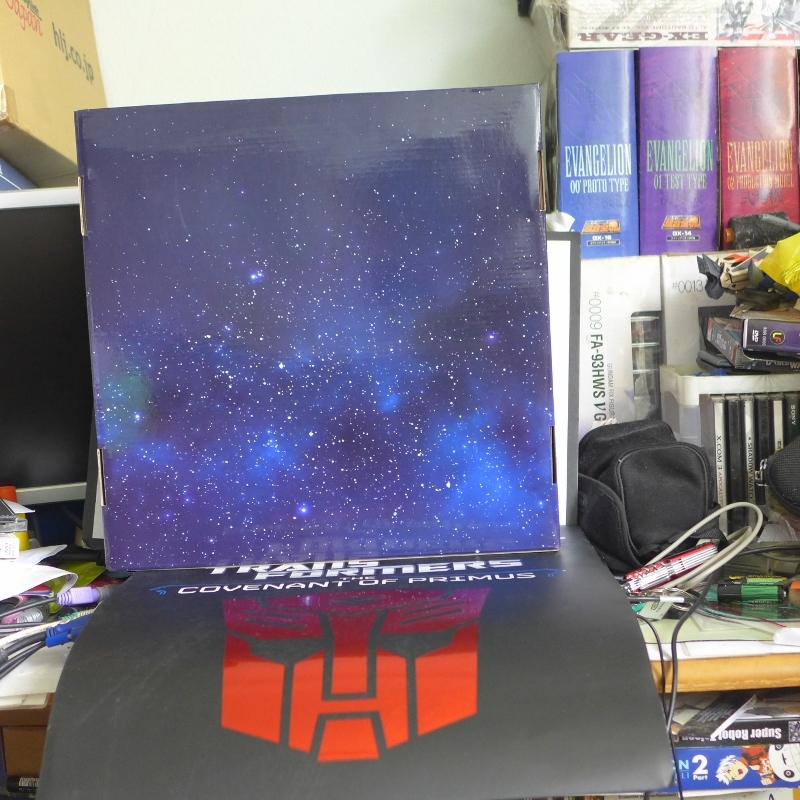 The back view of The Covenant Of Primus. Provide a synopsis of the book. 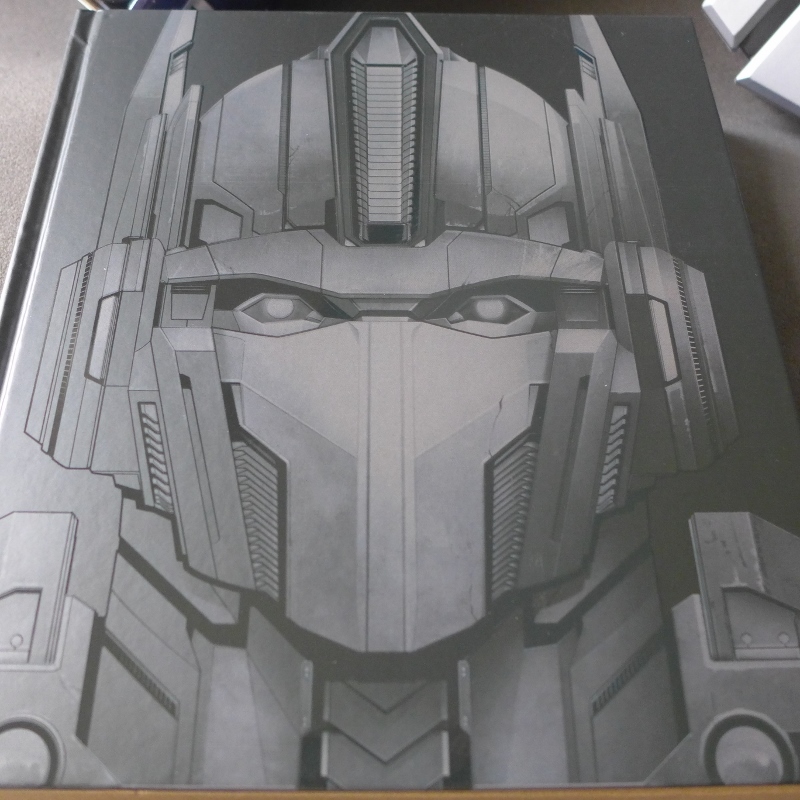 The cover needs to be slide off from the main box before you can view the full glory of the Autobot Insignia book case. 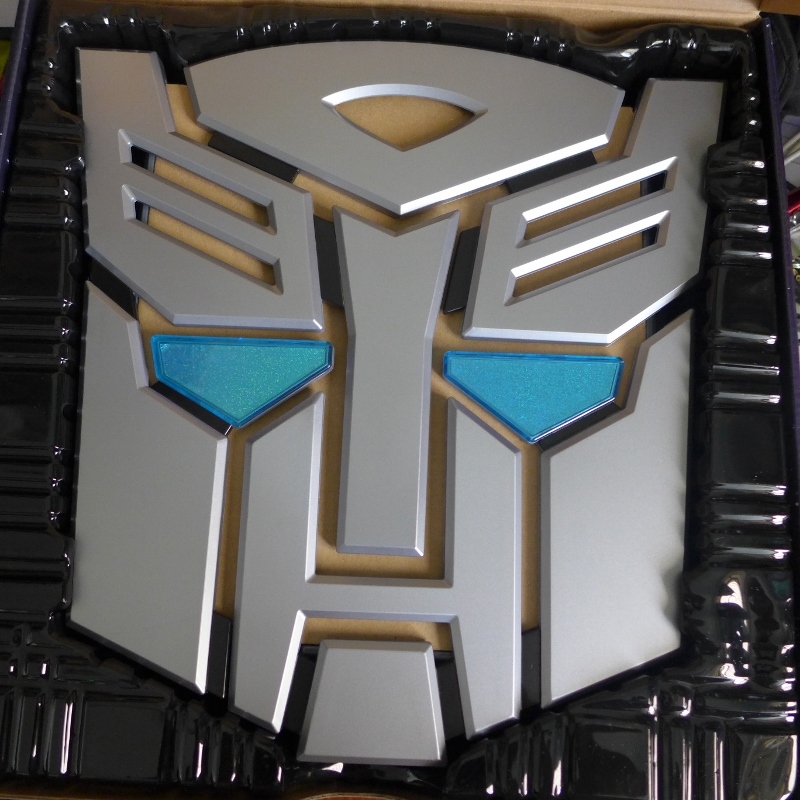 After removing the cover, the Autobot insignia book case is placed in the box on a black plastic tray. There is a simple instruction sheet on how to open the book case. 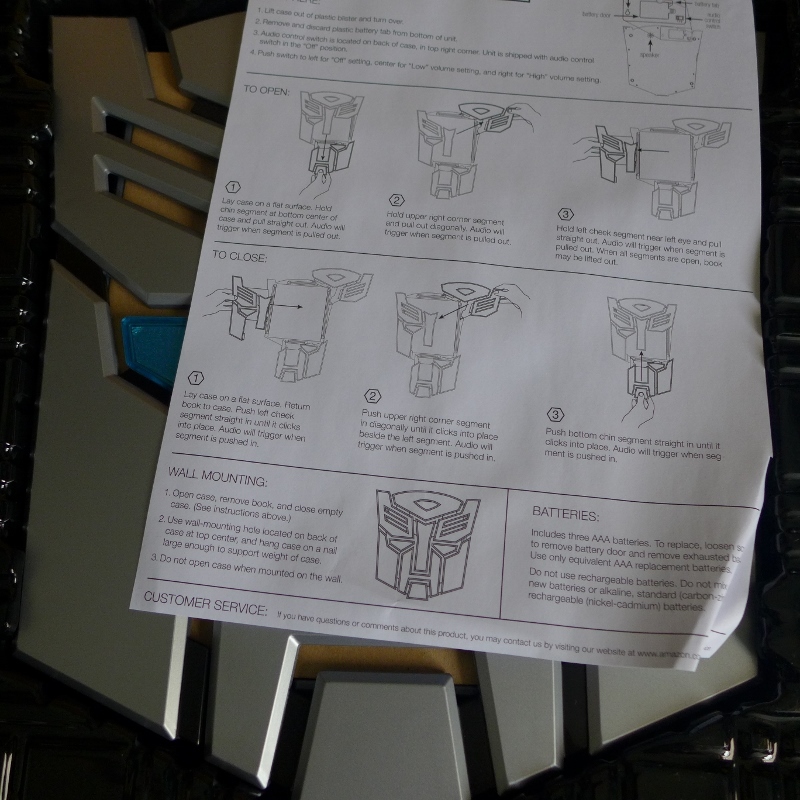 Instruction sheet of Autobot Insignia book case. 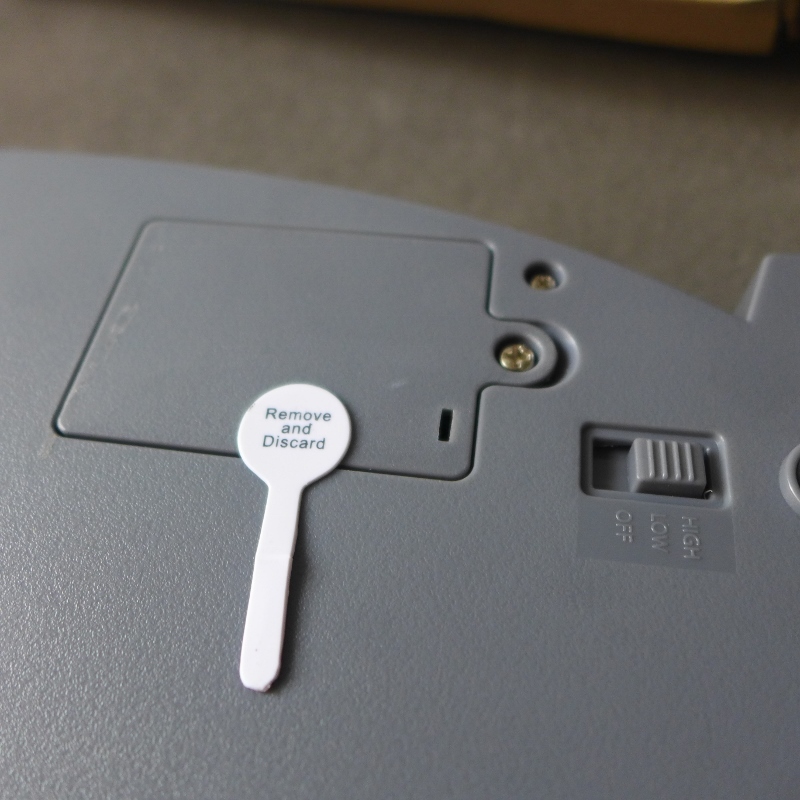 In order to activate the sound effect, remove the battery plastic tabs. By default, the sound effect switch is set to high. Alternatively, you can only switch it off or switch the sound to low. 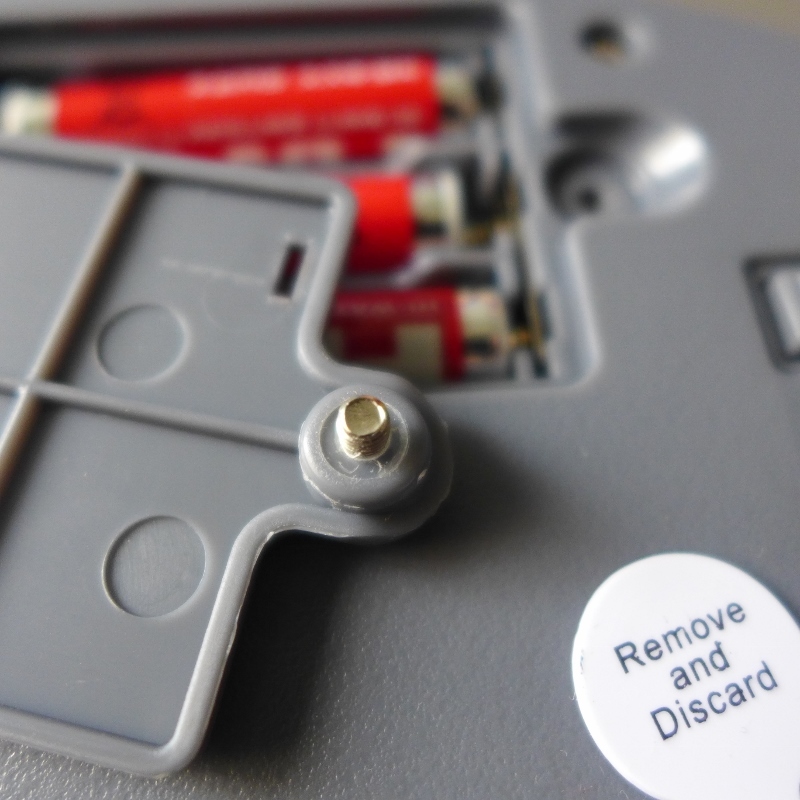 Battery stopper removed, now the sound effect is activated. 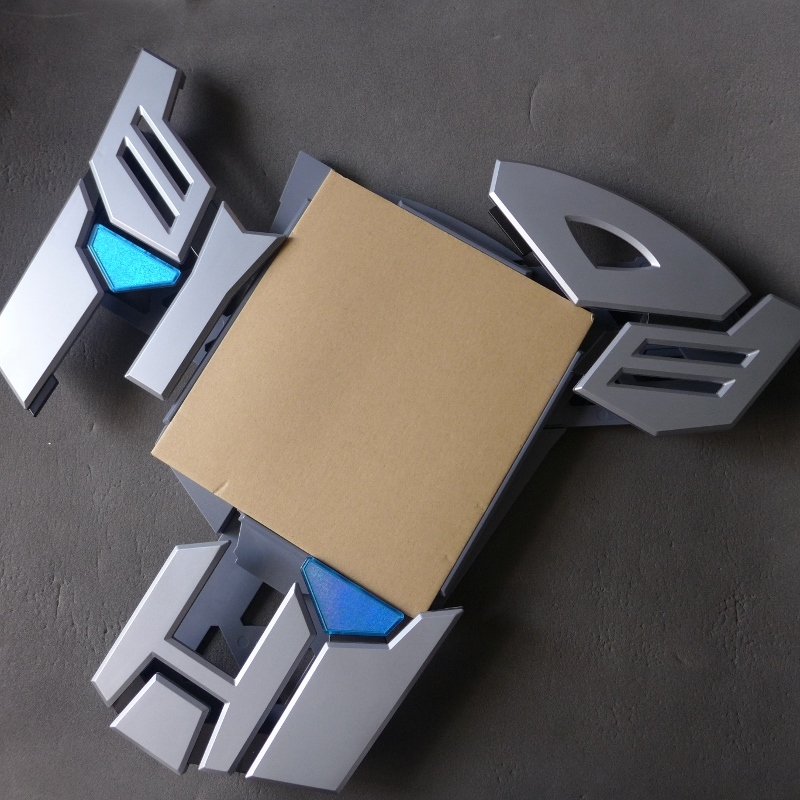 The sound effect gimmick for the Autobot book case is simple yet it stay true to the transformation sound as seen in TV. 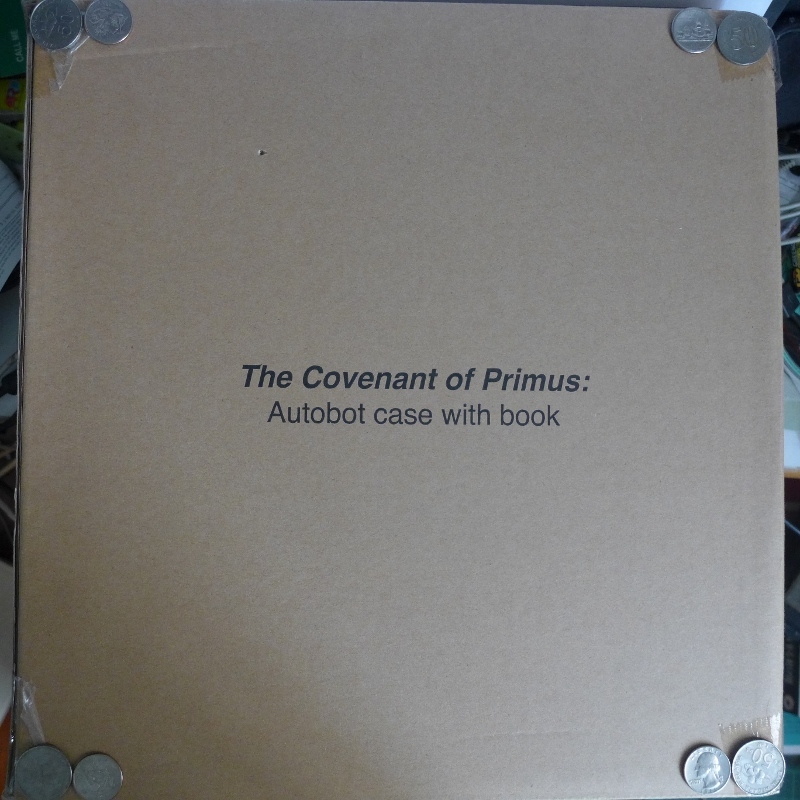 The cardboard is protecting the Covenant of Primus book, and the book itself is covered by a thin plastic film. 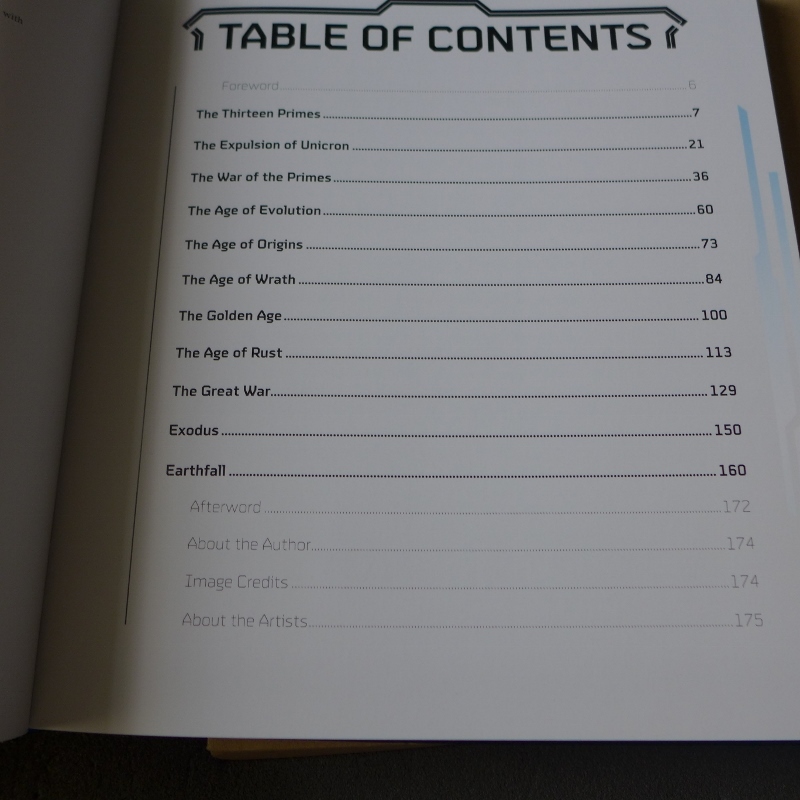 The book is hardcover, thread binded book with glossed pages. To my personal opinion, if you are expecting a galore of pictures you will be disappointed. 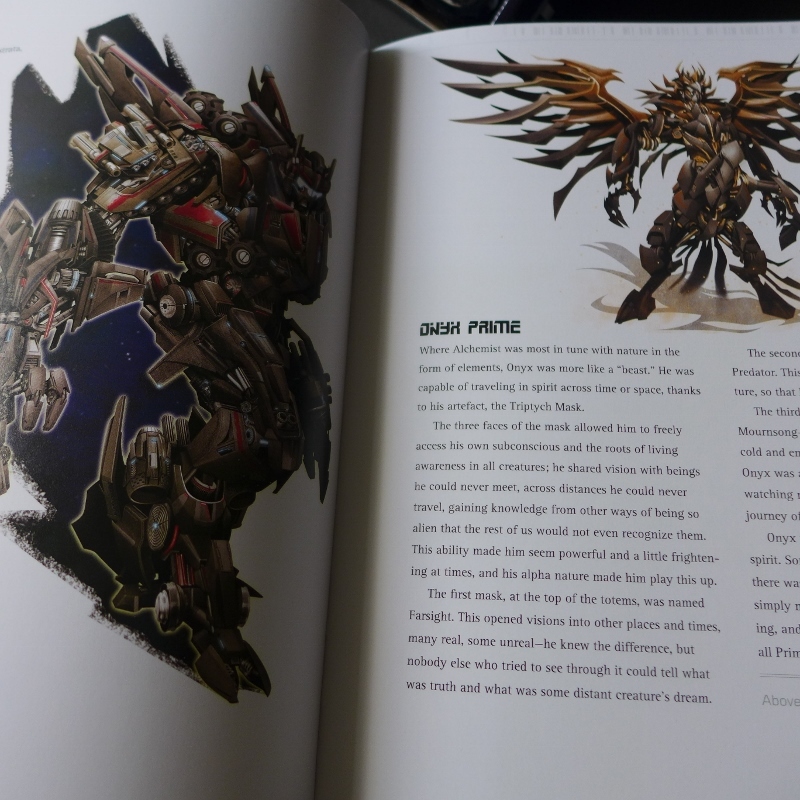 This book is unmistakably market towards Transformers fans. 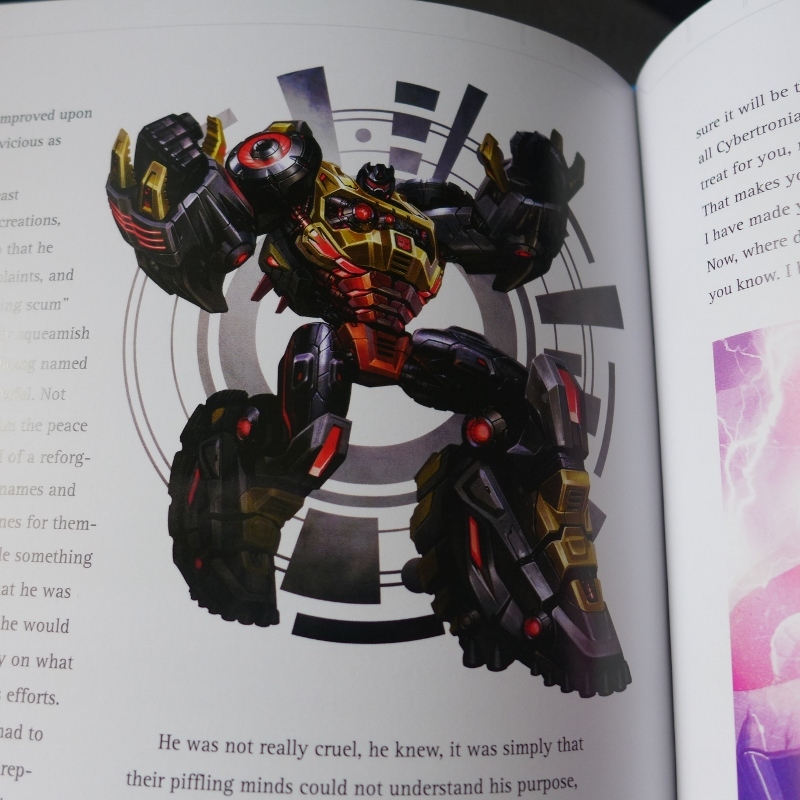 It is a book that describes the myths of favorite characters. 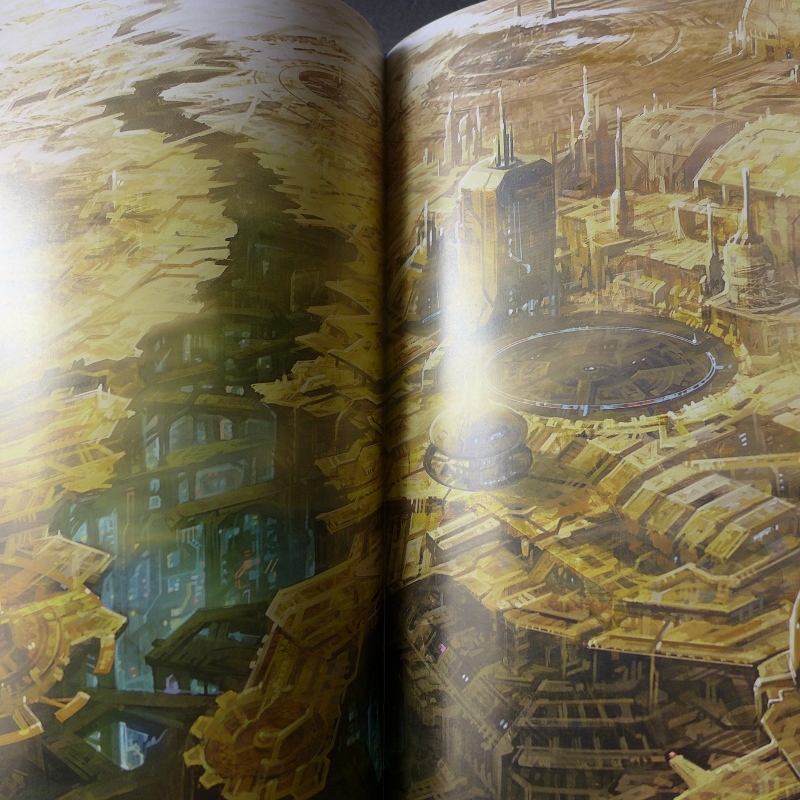 Illustration wise and pictures, less than 20 percent of the pages are illustrations. 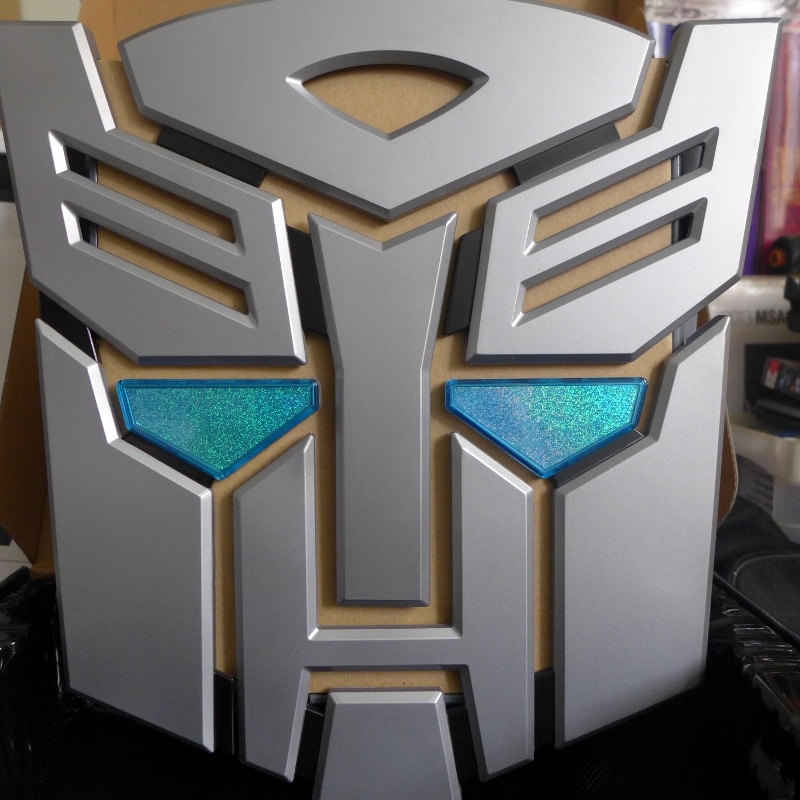 This entry was posted in My Hobbies, Transformers and tagged autobot, gimmick, hasbro, Transformers by KarMeng. Bookmark the permalink. Could you help me with something, please? I can not buy the book because of my location, and I’d love to read it. Would you help me with that? Sorry, I do not conduct such services. who made a special of that stuff?